We’re heralding the beginning of fall this September, where the leaves are beautifully russet, our pants get stretchier, and we throw away our scales, because…Thanksgiving. You know what else? It’s that time again for monthly client news. Let’s not waste any time, here are some notable events in the Skunkworks office for September. We have recently launched an integrated media campaign including print, transit and digital for Port Moody based law firm, BTM Lawyers LLP. 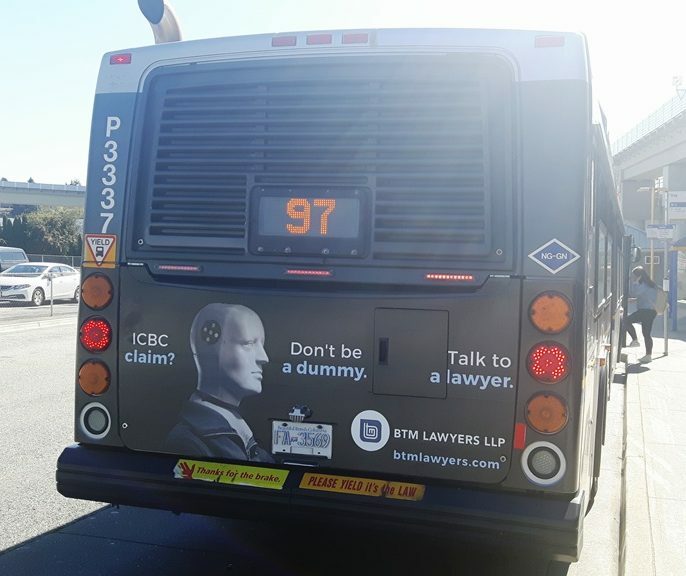 The “Don’t be a Dummy” campaign helps highlight the importance of securing a BTM lawyer to assist you through the complex legal process when you’ve been in an on-road accident. The through-the-line campaign is continuing to generate some positive reactions while garnering widespread exposure across the Lower Mainland. 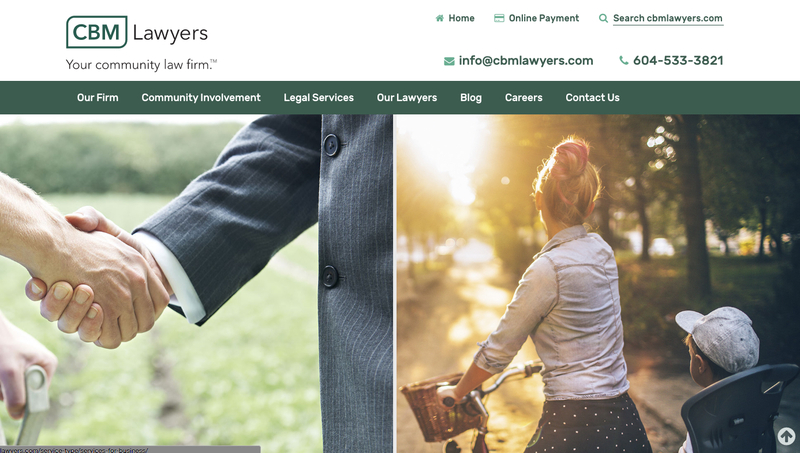 We launched Fraser Valley community law firm, CBM Lawyers, new look website. We focused on a contemporary yet approachable feel. Our design concentrated on the layout, accessibility, and on-brand imagery. Central to their firm is their commitment to the Fraser Valley community which we have worked on highlighting across their site. Additionally, we added a “filter by location” function that shows services provided across all 5 locations. The icons are a modern representation of the website’s evolution. Take a look at CBM Lawyers’ website here. 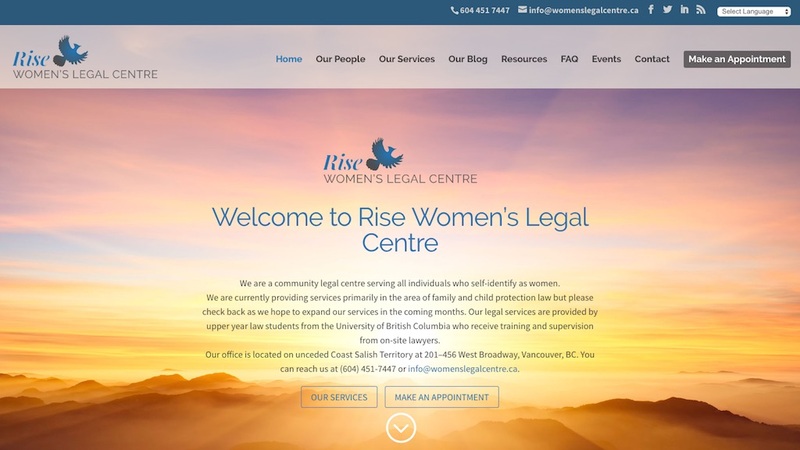 Speaking of websites, Rise Women’s Legal Centre has a brand new website on their desktops. Rise offers a variety of “women-focused” legal services, including summary advice, unbundled legal services, and even full representation in court, if required. The new responsive site features a blue jay logo, representative of rising above adversity and allows for Google translation across 15 languages. Visit Rise’s brand new website here. Jarvis McGee Rice Trial Lawyers LLP have had some groundbreaking results on two significant judgments in BC this month. Trial Lawyers Jon Harbut and Anthony Leoni acted for Timothy Scott McKenzie, who suffered injuries as a result of four motor vehicle accidents between 2012 and 2015. The case is noteworthy on the issue of the causation of a stroke occurring many days after an accident. Read more about this judgment on the JMR blog. In Picton v. Fredericks, JMR Trial Lawyers Michael Elliot and Hector MacDonald acted for Allie Picton, who has had to have ongoing Botox treatments as a result of her injuries. This case represents the largest award in British Columbia history for this form of treatment. For more about this judgment, head over to the JMR blog. Vancouver personal injury law firm, Murphy Battista LLP, have had an eventful September with personal injury lawyer Scott Stanley featured on Global BC News. Scott highlights the complications with travel cancellation insurance plans, watch the full news clip here. Murphy Battista helped celebrate the start of the 2016 Paralympic Games in Rio and by screening the opening ceremony at their Personal Injury Resource Centre. Finally, personal injury lawyer Keri Grenier, from Murphy Battista’s Kelowna office, provides some great insights into a woman’s worth in relation to injury claims over on Okanagan Woman’s blog. Read the full blog post here. Walsh King chartered professional accountant, Tia Walsh, was recently quoted in Business In Vancouver’s article about quashing accountant stereotypes. In the article, Tia discusses her love of art, being a director of the Contemporary Art Gallery, and travel. Read more about how Vancouver accountants are crushing stereotypes, here. As we say goodbye to September, join us next month for more noteworthy client news.